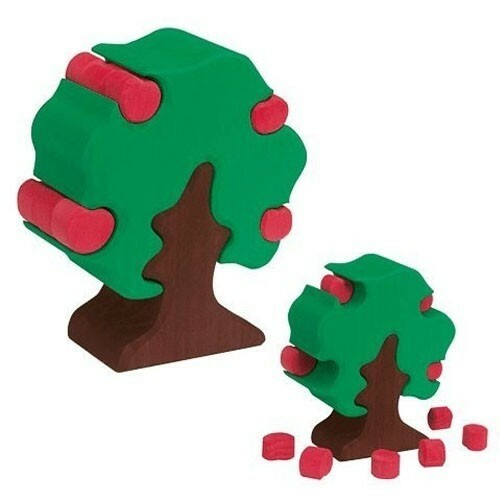 This beautiful wooden tree comes with removable apples and a detachable trunk to introduce little ones to simple building concepts. Made by a family run business who uses non-toxic vegetable dyes for safe play, and rich hues in their toys. Dimensions: H6.75 x W5.5 x D2 inches Not suitable for children under 3 years.